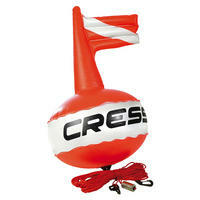 First-ever buoy to feature a built-in flag, it is fitted with a specially designed casing for the line that prevents the line from tangling up and makes it possible to adjust its length as a function of how deep you want to go. Weights are built into its structure to ensure stability even in rough sea conditions, making for excellent visibility as the buoy invariably retains its position at the top of fully formed waves. It has no protruding parts and once the line has been released, if you are using an end weight, your position will be marked out automatically. Pursuant to the regulations, its prevailing colour is red with a white stripe for immediate recognisability. Also red in colour, the line is about 20m long and is fitted with two plastic snap hooks. 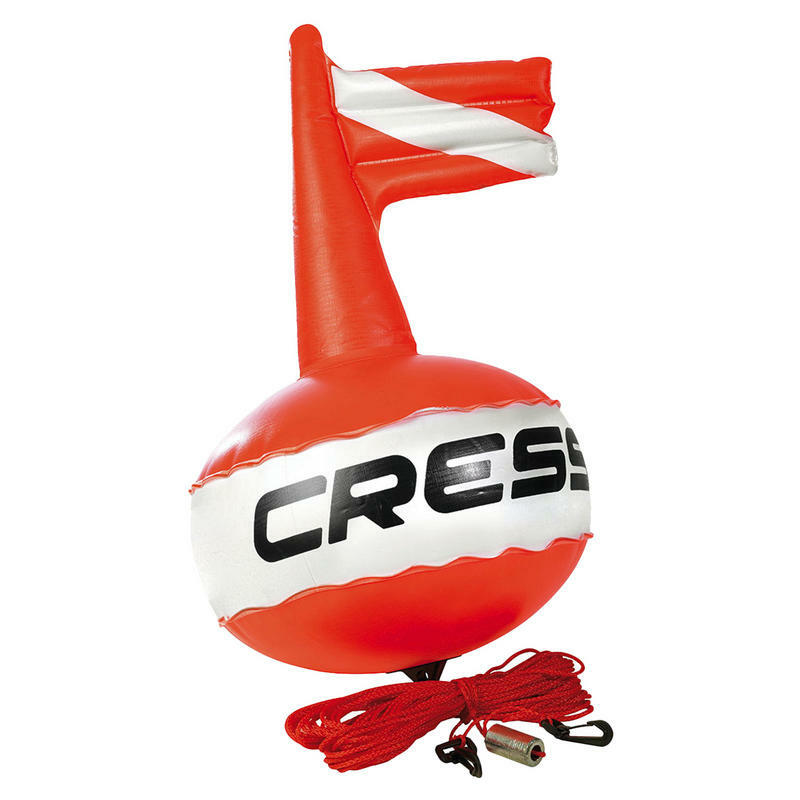 The Cressi Easy Buoy comes with a convinient whistle: an additional safety device that can be used to attract attention in an emergency situation.